Sensual woman, curly long hairs and flowers, some ingredients for the masterpieces, the art-nouveau affiches from Alphonse Mucha. 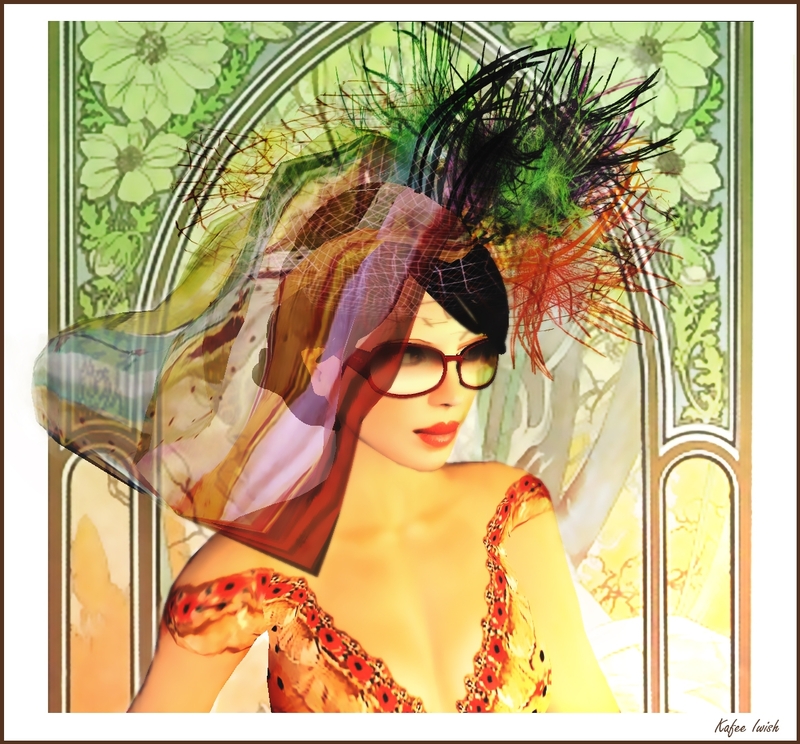 In this tribute to Mucha there is also a role for the K_gs -Free Edition glasses, designed by koguma Kumaki of Kumaki Glasses Style. These high quality sculpted glasses have a femine round design and includes a script for color changing, choosing the transparency of the lenses, disabling the shine and even an animation that pushes the glasses up onto your head. You can find these free glasses at XStreetSL.